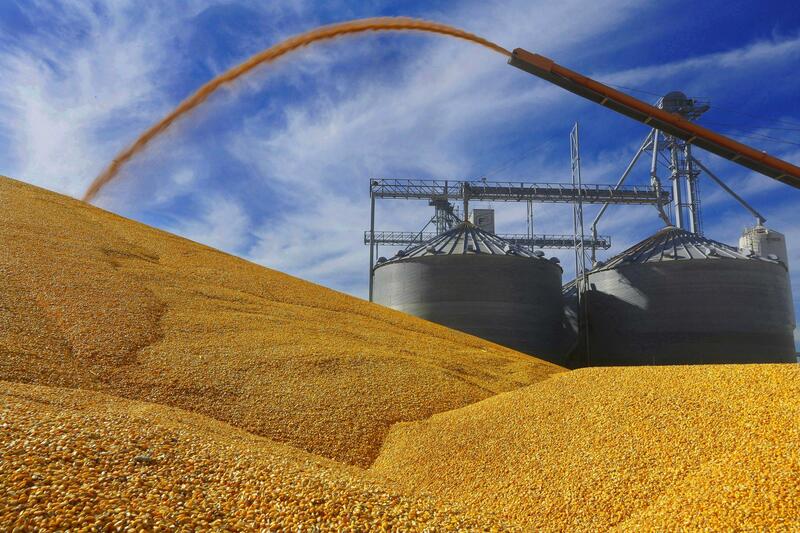 Farmers deposit harvested corn on the ground outside a full grain elevator in Virginia, Illinois. Agricultural economist Todd Hubbs had just finished telling a room full of farmers about how all the uncertainty surrounding global trade is affecting U.S. corn growers. Then he flipped his slide to soybeans. “This is where the sad part of the presentation begins,” Hubbs said. Farmers and others working in the ag business gathered Wednesday in Uptown Normal for the Illinois Farm Bureau’s 2018 Farm Income and Innovations conference. "It's the difference between being in the black and being in the red." The Trump administration’s trade policies—and retaliatory actions by other—loomed large over the conference. Farmers, especially soybean growers, have felt the brunt of retaliatory tariffs placed on agriculture by China and other nations that the Trump administration has penalized with tariffs on imports. Hubbs spoke about price outlooks for corn, soybeans, and wheat. Each projection had two scenarios: one in which the trade issues are resolved, and one where they weren’t. The average price for a bushel of soybeans has been around $11 for the last decade or so. Now they’re around $9. Hubbs’ “ongoing trade issues” scenario for 2018-19 suggests prices would fall even more, to $8.80. “If you’re growing 65 bushel-an-acre soybeans, and price goes up 50 cents, and you’re farming 2,000 acres—it’s a lot of money. What might sound like a small price move to someone who’s disconnected from it, a $1 move is massive. 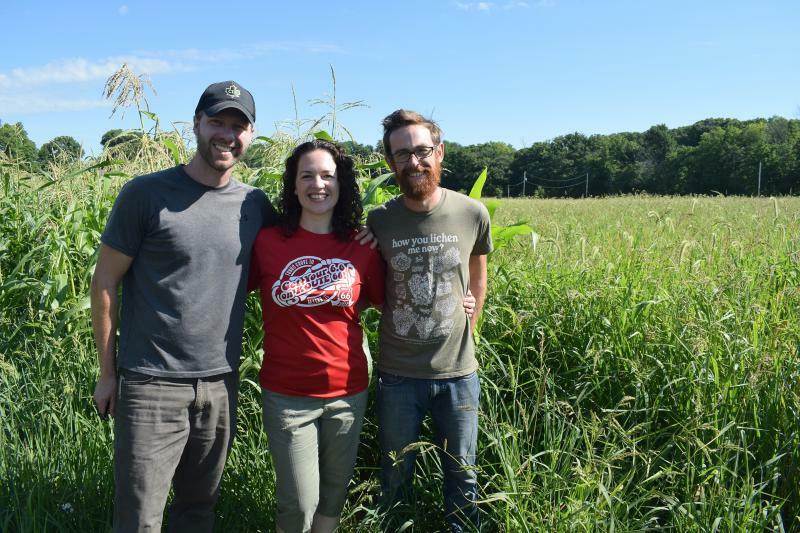 It’s the difference between being in the black and being in the red,” said Hubbs, an assistant professor in agriculture commodity markets at the University of Illinois. China imports over 60 percent of the world’s soybeans. 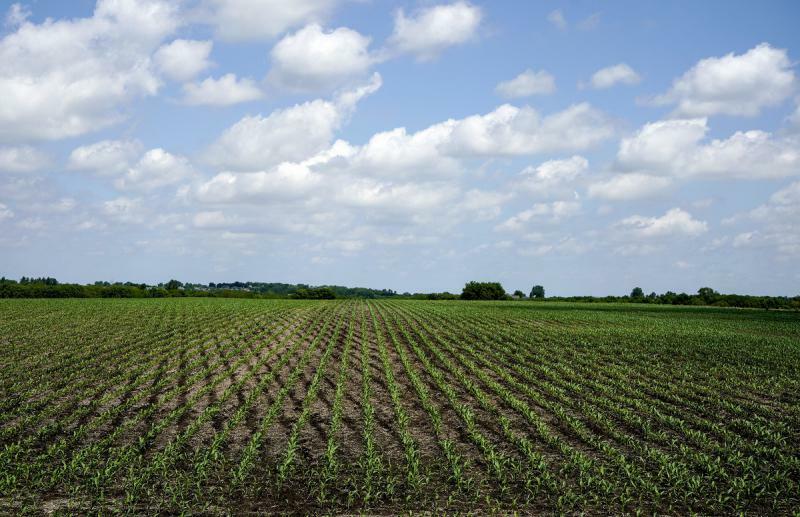 With China impacting soybeans, it’s uncertainty over North American Free Trade Agreement (NAFTA) renegotiations looming over corn prices, he said. 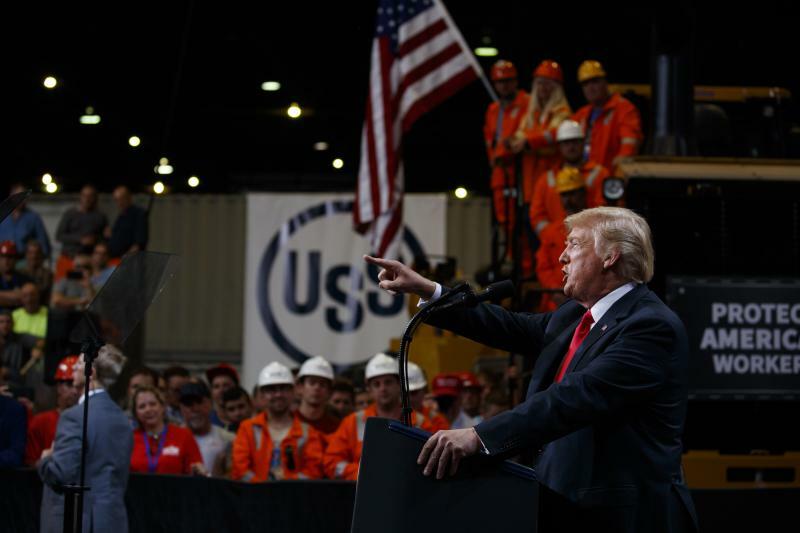 The U.S. and Mexico appear locked in a stalemate over the future of NAFTA, which President Donald Trump is seeking to renegotiate, arguing that it disadvantages American workers. In recent years—the so-called biofuels era—corn prices have averaged around $4.40 a bushel. They were as high as $8 a few years ago. If trade issues aren’t resolved, Hubbs projects prices will fall to around $3.65 a bushel in 2018-19. Mexico and Canada are big importers of ethanol. An excerpt from GLT's story. As Congress gets set to debate a final version of a new farm bill this summer, one of the negotiators wants to ensure job training requirements are included.